Almost everybody goes to the par lour to get waxing done. Waxing removes hair out of the root, so it takes longer time to grow back again. Chemical waxing products use an ingredient called calcium thioglycolate, it can causes skin irritation to skin.For this reasons you can't skip of doing waxing. Instead, make your own wax with natural items such as sugar and water and lemon juice. This sugar as effective as the store-bought variety. The wax was made exactly the way we get in the parlours. I will show you a simple recipe to make hair removal wax on your own.This body wax recipe is effective and pretty simple. After that, you can smooth skin and prevent any possible skin irritation. Lemon Juice/Vinegar – 1/4 cup. In a medium-heavy saucepan, add sugar and and water just to immerse it, don't add to much of water to the sugar.cook over medium-high heat, without stirring. 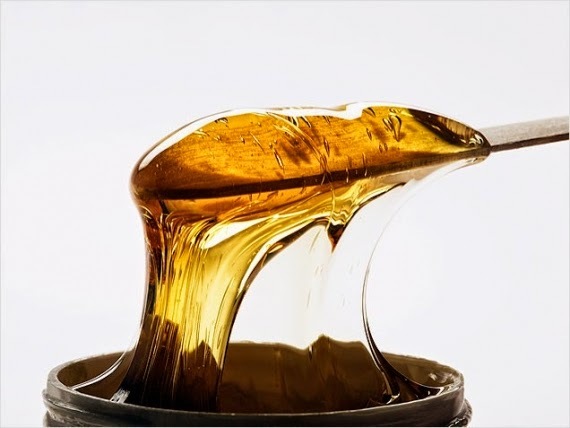 stir in between, until the sugar gets dissolved completely.Now, add lemon juice or vinegar and keep stirring till a wax-like consistency is reached or insert the tip of a candy thermometer into the mixture. The wax is ready when it reaches approximately 260 degrees Fahrenheit. This would take around 20 to 25 minutes. when required consistency is reached, Remove the wax from heat, and pour it into a glass bowl or jar. Allow the wax to cool for at least two hours before using. Spread the body wax on your legs or arms, place the cotton strip over it , always pull in the opposite direction of hair growth. This way, you will pull out the hair together with its root. Wax should not be too thin or too thick. If the wax is too hot, it will be too thin and may cause burns. Super-cooled wax is hard and difficult to work with. Hard wax may also cause skin tears. Keep wax at a temperature that is comfortable to touch, Reheat if necessary. To store your wax, put it in an airtight container with a lid and keep it in the refrigerator.